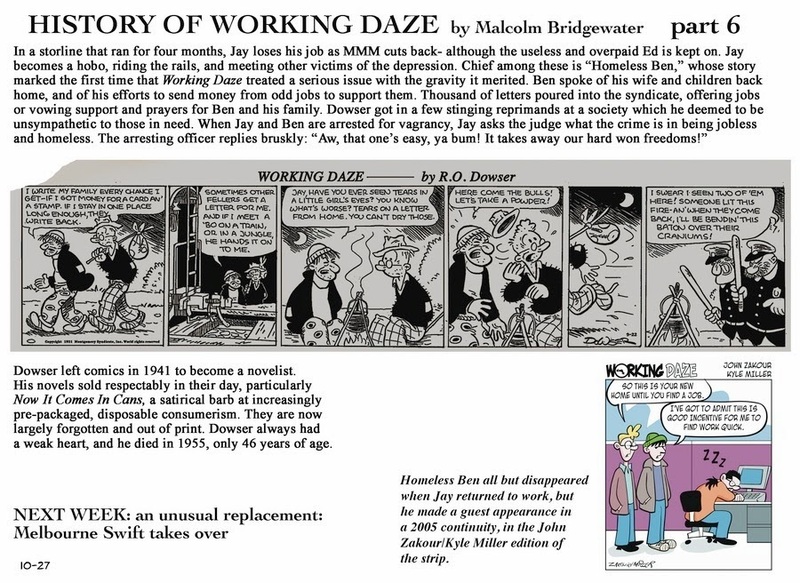 In the late 1990s, John Zakour and Andre Noel created the comic strip "Modern Daze." 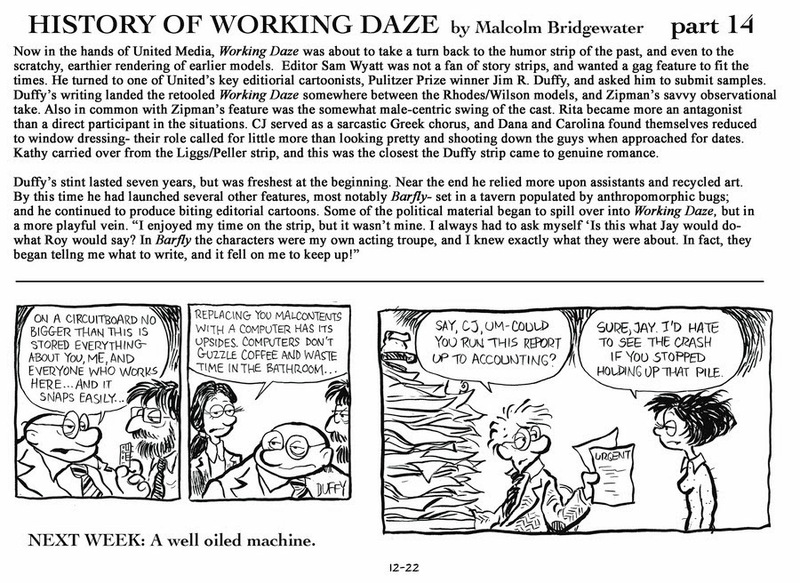 It was picked up by United Media in late 2001 and retitled "Working Daze." Noel eventually left and was replaced by Kyle Miller, who was replaced himself in 2008 by Scott Roberts. 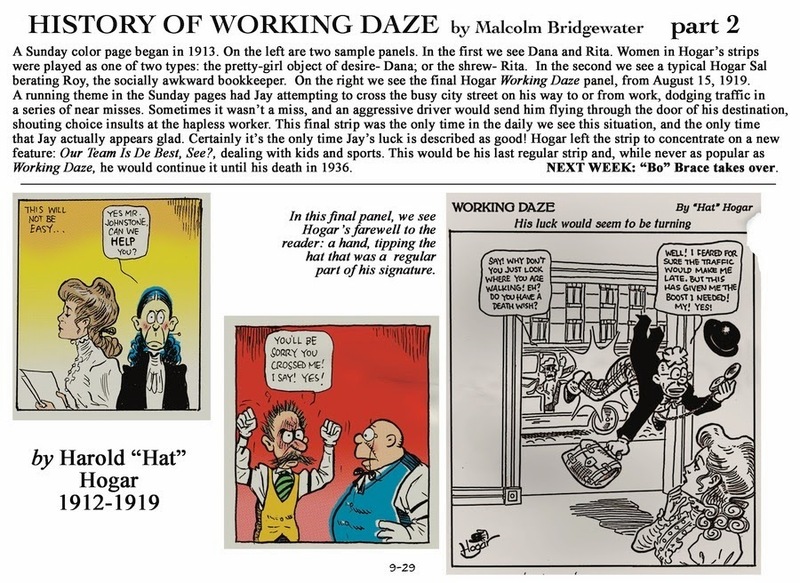 Perhaps because of the instability of the strip's artist role, Zakour started writing the Sunday strips as an extended (fictional) history of the "Working Daze" strip, claiming it was originated by Harold Hogar in 1912. 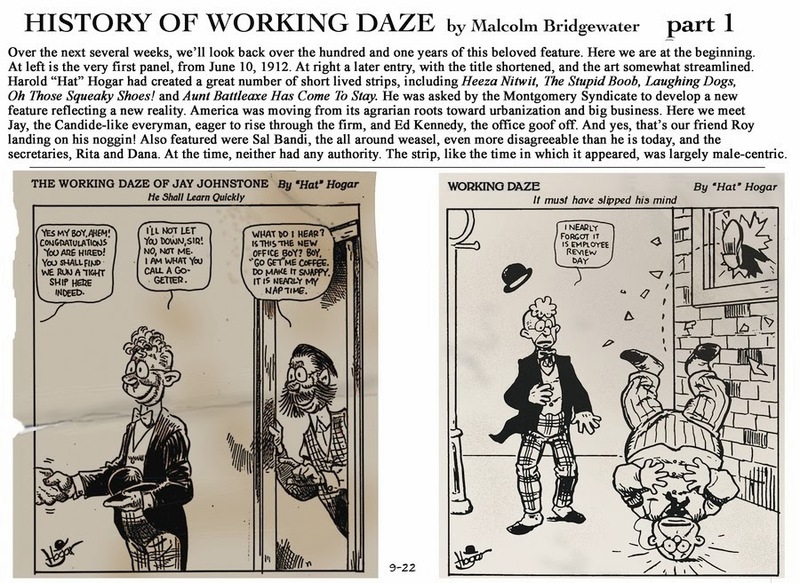 Subsequent strips have explored how not only the artistic style, but the very tone and voice of the strip changed over the ensuing decades. 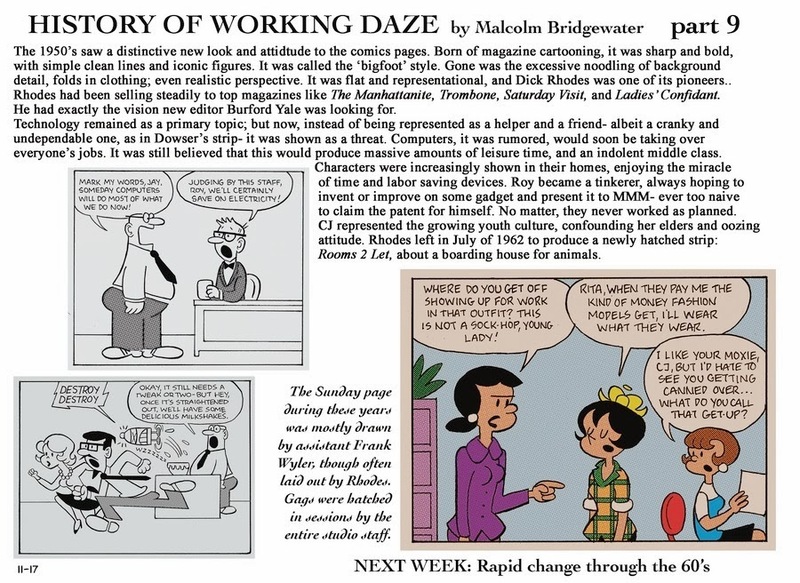 Each week, Zakour has written a paragraph or two summary of the creative history of the strip, while Roberts has stepped up to draw a few example panels from each period, each replicating the style more typical of the time being discussed. 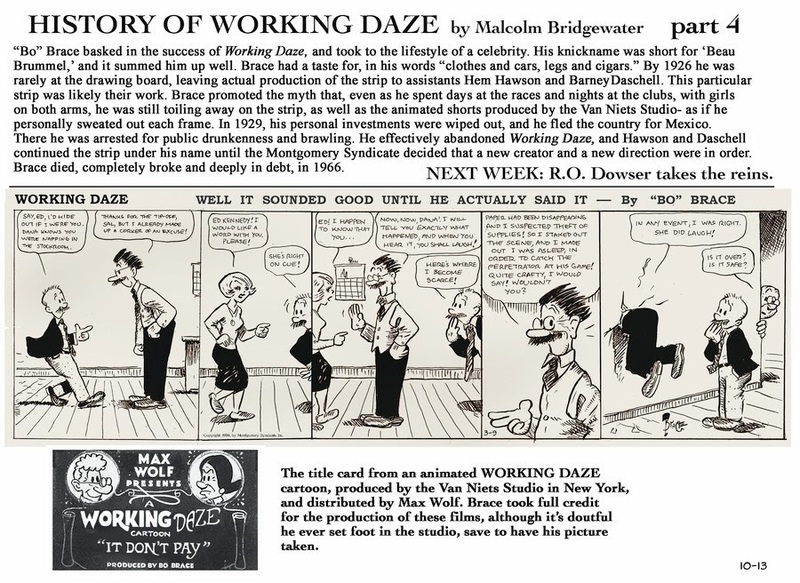 While some of the references are oblique, others are plainly evident. 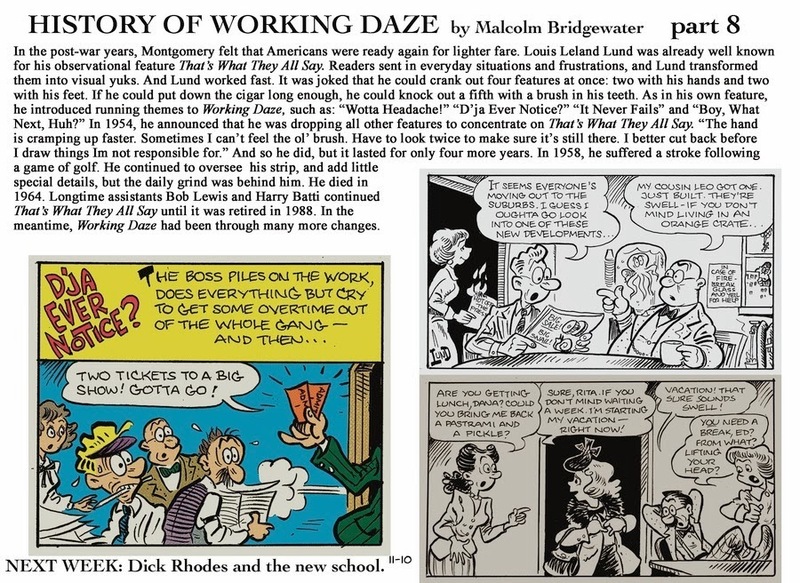 It's quite a departure from the strip, and I don't know how well it's being received but, personally, I find it a fascinating way to examine the history of the American newspaper strip. 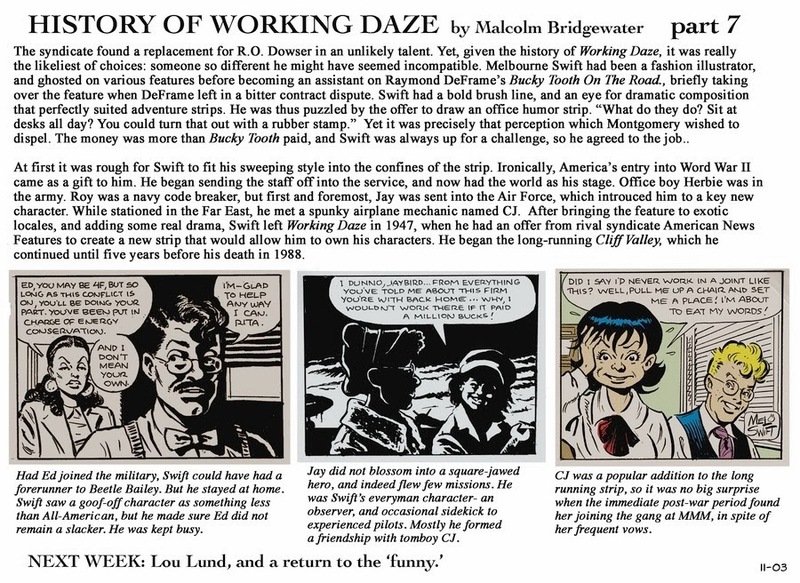 That they're able to evoke the visual styles of the different eras, as well as the language and type of humor, is quite enjoyable to someone like myself with a bit of an interest in the history of comics. These are exceptional. 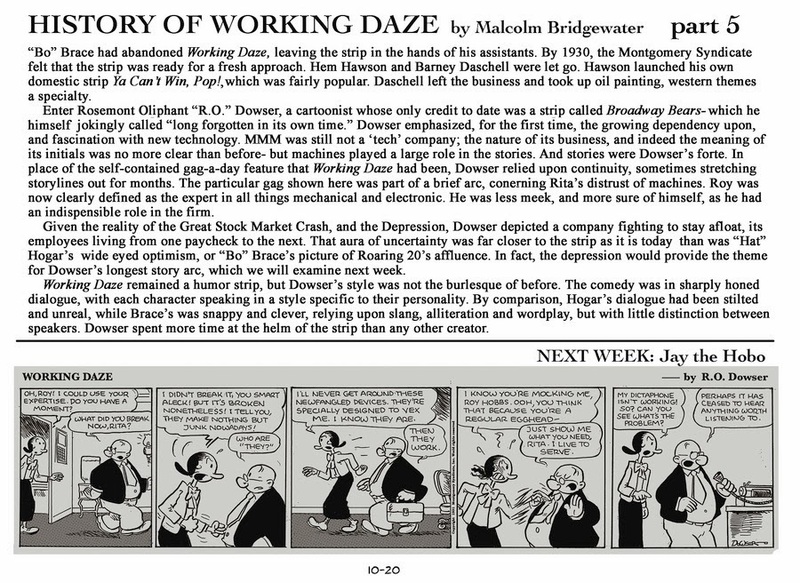 You just made me a reader of Working Daze. 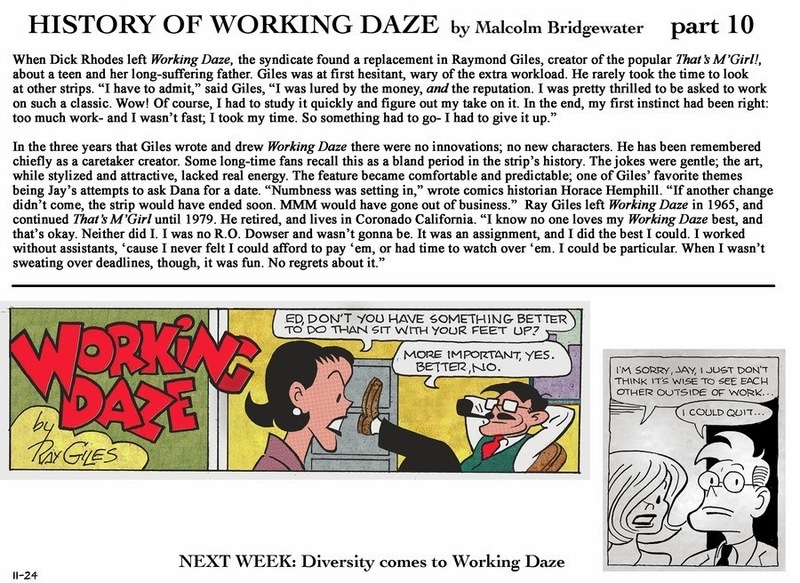 Note, giving credit where credit is due these are all Scott Roberts showing his knowledge of comics and his ability to clone other styles. 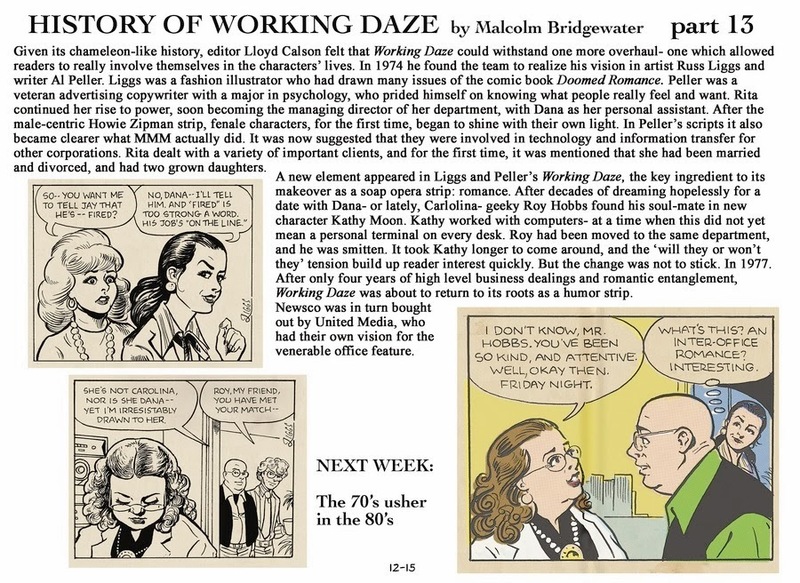 Yes, actually these were completely me: writing, art, planning, the works. 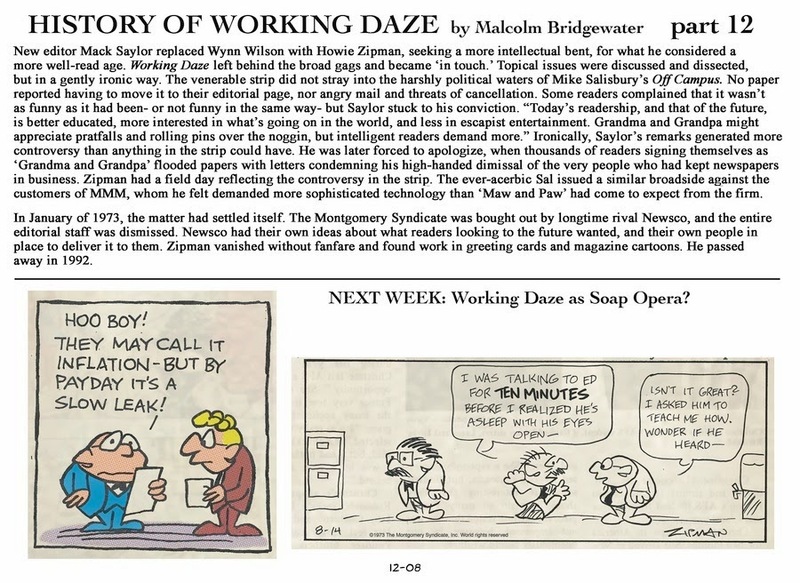 John and I were each going to do a special bonus for our paper back collection. I'm still waiting to see his! 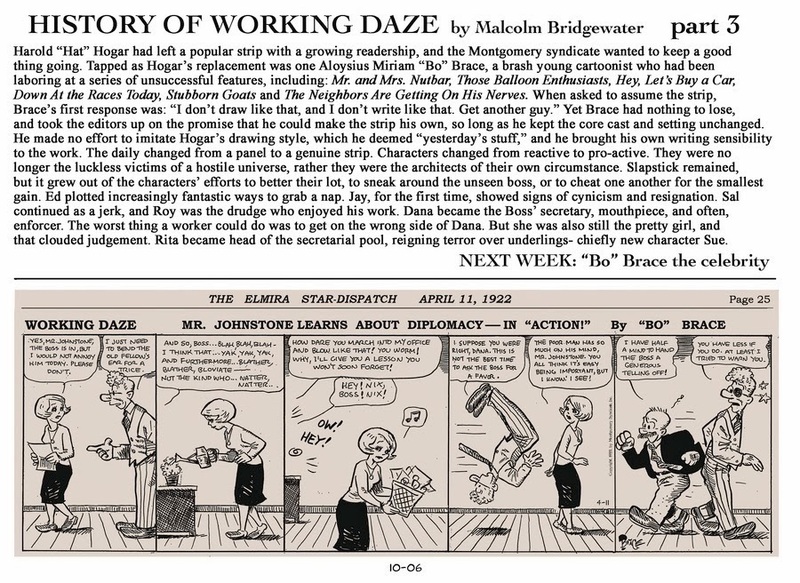 I took mine and expanded it for this Sunday sequence. 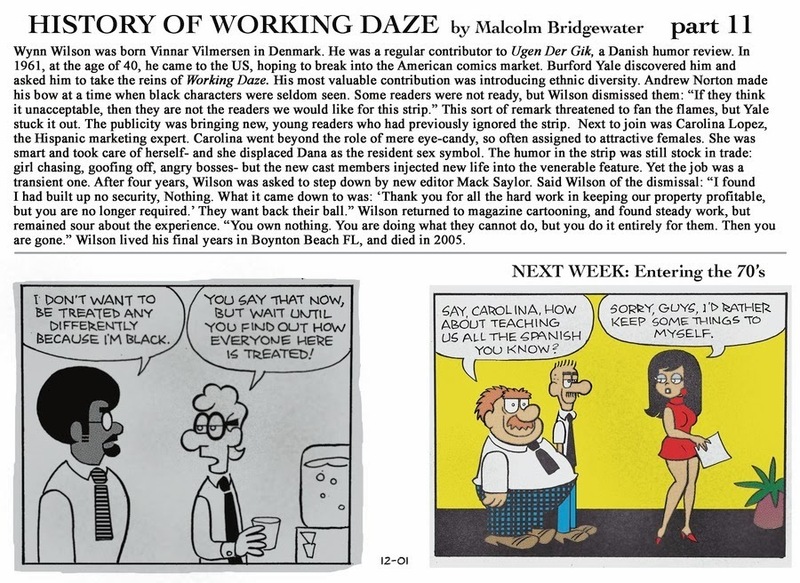 During the same period, John was writing a Saturday series on the premise that two of the characters had taken over, and were doing gags about geek culture topics. I had to invent a whole new stye for those so it didn't look like it was really us.